Every week, Source One's spend management team discusses supply chain news and emerging trends on the Source One Podcast. Though they've covered a lot of ground - discussing supply chain talent management, cost reduction strategies, vendor relationship optimization, and more - they particularly enjoy sharing their insights on Procurement Transformation. Recently, the Procurement and Strategic Sourcing team took to the airwaves to discuss Procurement Transformation: Industry Perspectives. The five-part whitepaper series covered Procurement Transformation from every conceivable angle. Over several weeks, a collection of supply management specialists discussed topics including Procurement's ongoing strategic evolution, the ever-widening talent gap, and Procurement's perception within organizations. Many of the contributors then sat down with the Source One Podcast to provide additional context. If you enjoyed reading this comprehensive overview of Procurement Transformation, why not subscribe to our Podcast for additional insights? Contributors from all five sections of Procurement Transformation: Industry Perspectives have recorded conversations with us. Check out some highlights from these conversations. Sourcing Strategies Group's Jim Baehr joins to podcast to discuss the last three and a half decades in supply chain management. Procurement Transformation, he suggests, has evolved alongside the Procurement function itself. Stating with Peter Kraljic's landmark "Purchasing Must Become Supply Management," he charts Procurement's rise to a more essential position within organizations. He suggests that today's Procurement professionals can still learn a great deal from Kraljic's words. Additionally, he encourages supply chain managers to read John Kotter for Change Management. The idea of Change Management is a particularly essential one for Baehr. He sees it as inextricably linked to the very idea of Procurement Transformation. He also expresses concern that a number of Procurement teams do not hold this same conviction. Too often, he says, "Transformation is treated as change for the sake of change rather than part of an ongoing commitment to Change Management." A podcast host himself, Art of Procurement's Phil Ideson joined us to elaborate on the motivations and mindset that make for effective Procurement Transformations. So many Procurement Transformations come up short, he suggests, because of fundamental flaws in how Procurement sees itself and its role within an organization. Echoing Jim Baehr, he stresses the importance of viewing Procurement Transformation as one part of a never-ending process rather than the goal of a one-off initiative. How can Procurement encourage this change of mindset? Ideson believes a change of vocabulary could provide the perfect starting point. 'Procurement Transformation,' he remarks, is a fairly misleading term. On the one hand, it suggests a total overhaul of everything Procurement does. On the other, it encourages the misguided idea that Procurement Transformations are carried out by and for Procurement alone. Procurement Transformations - even at their most expansive - aren't really transformations so much as refinements, and their results never benefit Procurement alone. The sooner organizations internalize these ideas, the sooner they can begin to reap the benefits of an optimal Procurement function. The eBook's third chapter takes a look at three essential components of every Procurement Transformation - the function's people, processes, and technologies. TYGES' Naseem Malik handled the first of the three and joined the Podcast to offer additional insights. Even in rapidly digitizing world, he contends, people are still Procurement's most valuable resource. He's quick to point out, however, that the blogs and podcasts are onto something when they discuss Procurement's talent gap. Procurement and Supply Management's talent gap is so frustrating, he suggests, because it has nothing to do with a lack of candidates. Quite the opposite, he says. With more universities than ever offering Supply Management programs and the Procurement function earning a more prominent seat at the table, the candidate pool has probably never looked so crowded. Unfortunately, Procurement's more strategic and essential role calls for a diverse skill set that isn't easy to come by. He calls on Procurement professionals to transform their approach to both recruiting and retaining professionals. As the competition for top talent heats up, organizations need to staff themselves with leaders who will "evangelize for the Procurement function" and aggressively pursue talent. 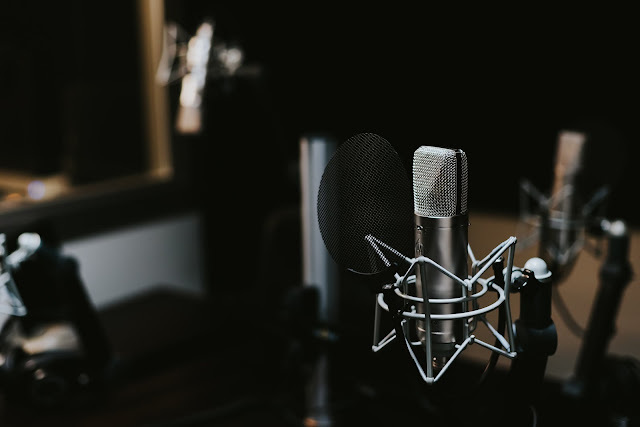 Vendor Centric's Tom Rogers took a break from his own podcast to discuss what he sees as the next stage in Procurement's transformation. It's time, he suggests, for Procurement to move past enforcing compliance and begin to function as a risk manager. Countless companies have already learned about emerging risks the hard way. By providing for Procurement's evolution, these organizations can develop a more proactive approach to risks and avoid costly data breaches. He's quick, however, to remind listeners that Procurement cannot go it alone. "Within most organizations," he says, "Procurement simply isn't equipped to take the reins and become the risk manager it ought to be." That's why he advises organizations to develop Risk Management Committees that feature representatives from across the entire company. Serving as one of many voices, Procurement will provide for its own transformation and gradually accept a more prominent seat at the table. Finally, Source One's Procurement Transformation Practice Lead, Jennifer Ulrich, joins the Podcast to discuss how Procurement Transformation: Industry Perspectives came together. Though she'd read "dozens and dozens of whitepapers and blogs on Procurement Transformation," she believed something was missing. She suggests that most discussions of the topic were either too vague or too granular to provide actionable insights. She goes on to suggest that her goal in producing this Procurement Transformation eBook was to communicate the breadth of what a transformation can really look like. "Many organizations hear the word Transformation and they get scared," she says, "It sounds to them like everything they've been doing everything wrong." Ulrich hopes the series will inspire organizations to reflect, look inward, and think about how they can make continuous improvement part of an everyday conversation. Though Procurement Transformation is an evolving subject, Ulrich is confident that Source One's eBook will inspire and inform Procurement professionals well into the future. Want to hear more from the Procurement Transformation experts? Subscribe to the Source One Podcast today.